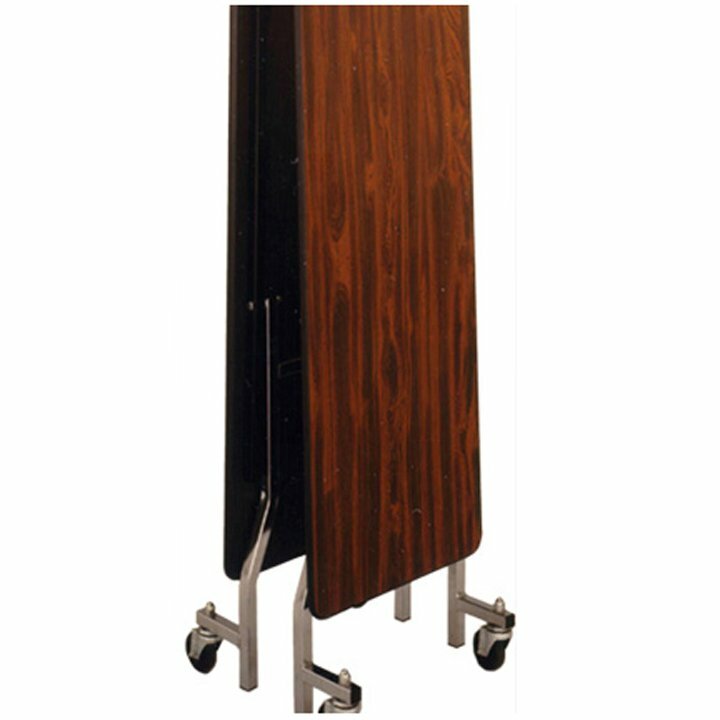 This classic rectangular-shaped training table rolls into use for seminars, class settings, meetings, conferences, and testing with tremendous ease. In fact, it only takes one person to manage and move the table! Each SICO® seminar mobile folding table is engineered with a rugged construction and its edges are protected by the trusted SICO® Armor-Edge® treatment to stand up to the bumps and bashes that come with everyday use. The seminar mobile folding table is available in eye-catching laminate top colors and design options. Simply choose the one that works best in your environment and fits your established look. Your SICO® seminar table will arrive fully assembled and ready for service. 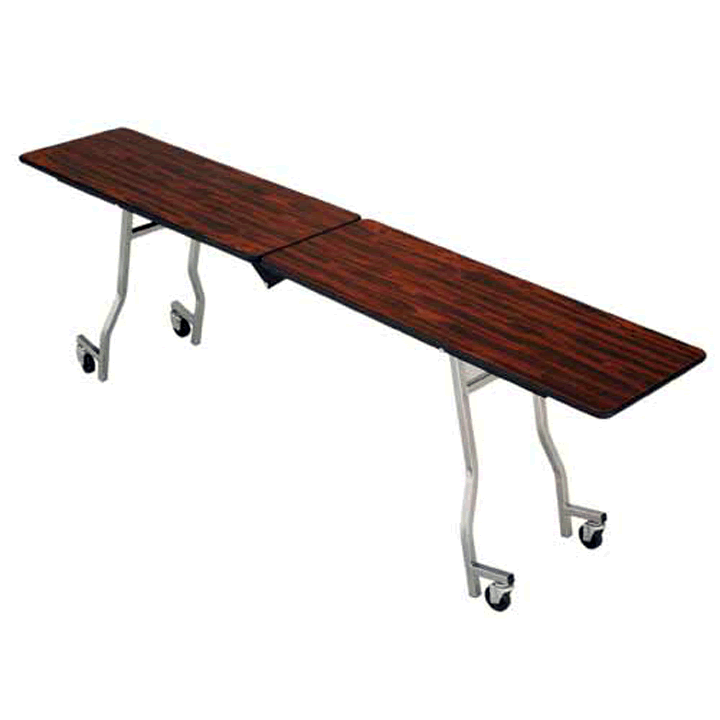 Each unit can be set up or taken down 60% faster than cumbersome folding leg tables. Within seconds, your crew will have your table folded and ready to roll to its next event, or into storage. Since each training table stores on its own four wheels, there is no need for separate, bulky table caddies which helps free up your storage space and eliminates another time-consuming task for your team! Protected by a 15-Year Warranty against manufacturer’s defects.Lifetime Warranty on welds.